When I started school there were two ways to label your stuff – the ‘fancy’ way which involved embroidered name tape that had to be stitched on (and had my mother cursing as she labelled uniforms the night before school started) or the normal way – take to it with a permanent marker. My how things have changed! 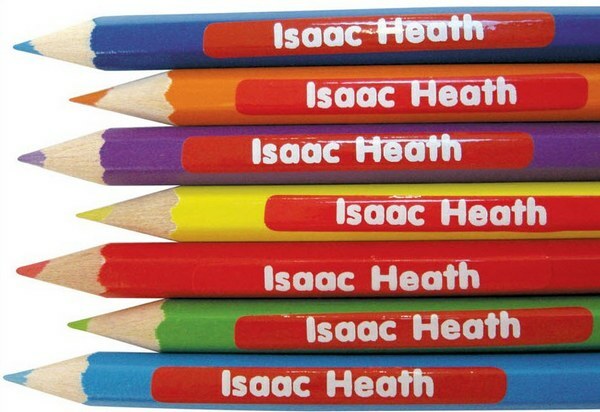 There’s a huge range of personalised labels available and we’ve rounded up a selection that will let you label everything in style, from individual pencils and shoes to clothing and lunch boxes. Start the year with a customised splash of colour from Bright Star Kids. 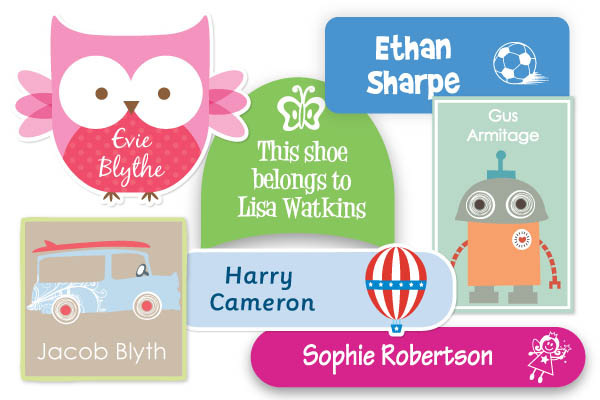 The labels at Bright Star Kids have clear, large names and simple icons for easy-to-read labelling. There’s a really good range of icons that will appeal to kids of all ages including an iPhone, a drum kit, a Kombi and a tropical Hibiscus flower icon for older children and teens. Save time and money by fulfilling all your labelling needs with a Value Kit (shown above). Kits range from $23.95 to $49.95 and have enough labels to keep you going for well over an average school year! 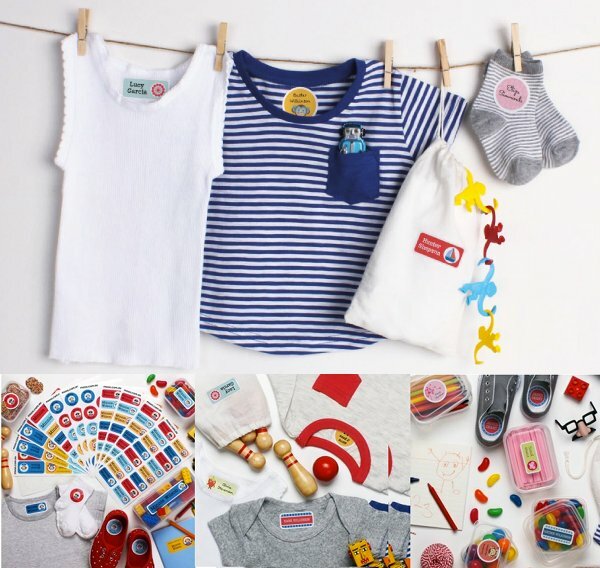 We just love the sweet designs of personalised name and clothing labels at Stuck On You. They are practical and pretty, with everything from chic robots and owls to soccer balls and fairies, so there’s sure to be something to suit every member of your clan. Starting at just $19.95 a pack, check out the huge range at Stuck On You. 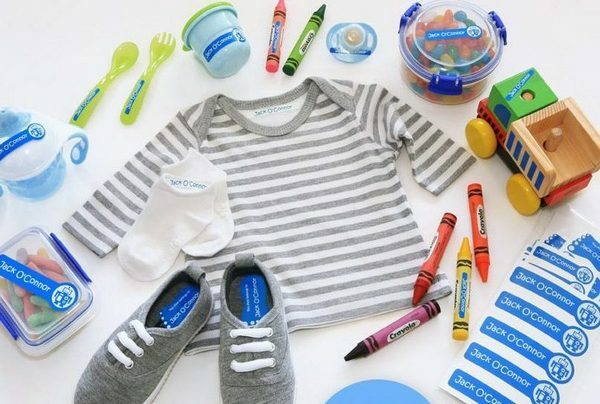 For perfect picks for pre-schoolers, head to Denim Baby. I love the retro-feel rainbow design but there’s also super-cute monkeys, cupcakes and under-the-sea characters. Most of the Denim Baby label packs include a mix of designs so that you can have different motifs and colours on different things – it’s nice to be able to mix it up. The packs each include ninety-eight labels, are $24.95 and delivery is free. Kids will be spoilt for choice at Bosco Bear. Not only is there a huge array of label designs (icons, prints and patterns) but you can also choose from gorgeous colour combinations such as gelati pastels or classic red, blues and taupe. The choice doesn’t end there – pick one favourite icon or mix it up. I love the mixed packs of kimono dolls for girls and retro robots for boys. If you have a child with allergies, be sure to check out Bosco Bear’s very handy and extremely sensible allergy labels. Sets of Bosco Bear name labels begin at $19.95, including delivery. 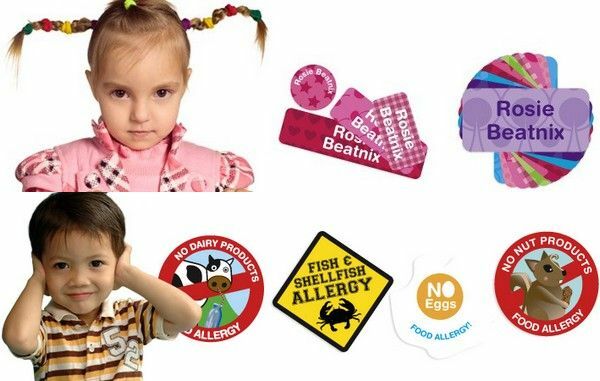 Tinyme has an amazing range of groovy labels to suit everyone from the baby to the preschooler and sophisticated enough for the older kids too. There is simply loads to choose from, with great label value packs and iron-on clothing labels and vinyl labels. Prices vary so make sure you step in to Tinyme to view the amazing ranges! For something completely different, don’t forget Lalu’s unique name labels that we showed you a few weeks ago. Featuring quirky characters and detailed scenes, sets start at $19.95 with delivery available all over Australia.